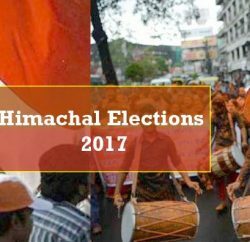 Giving rest to all speculations, Himachal Lokhit Party (HLP) has rubbished all reports of merging with BJP and Aam Aadmi Party. HLP president Maheshwar Singh, after party core-committee meeting at Shimla, stated that BJP is a thing of past. Maheshwar Singh admitted meeting BJP senior leaders, but reiterated to be a separate identity in the state politics. He said that HLP leaders had left BJP on the corruption ground and said that party hasn’t done anything substantial. 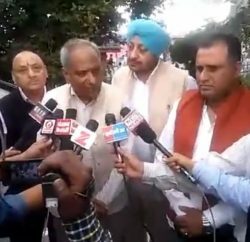 Singh also revealed that party will also not field its candidates in the forthcoming parliamentary election and will support like minded people in the poll. HLP president said that the party targeting 2017 assembly election and preparing its cadre to strengthen its ground in the state. Khushi Ram Balnahta, Shyama Sharma, Tikku Thakur, Babu Ram Mandyal, Subhash Sharma, Naveen Dhiman and Dr. Dharam Chand Guleria were present at the meeting. 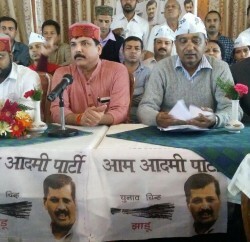 However interestingly party Kangra leader Dulo Ram and Solan leader MN Sofat were conspicuously absent from the meeting.